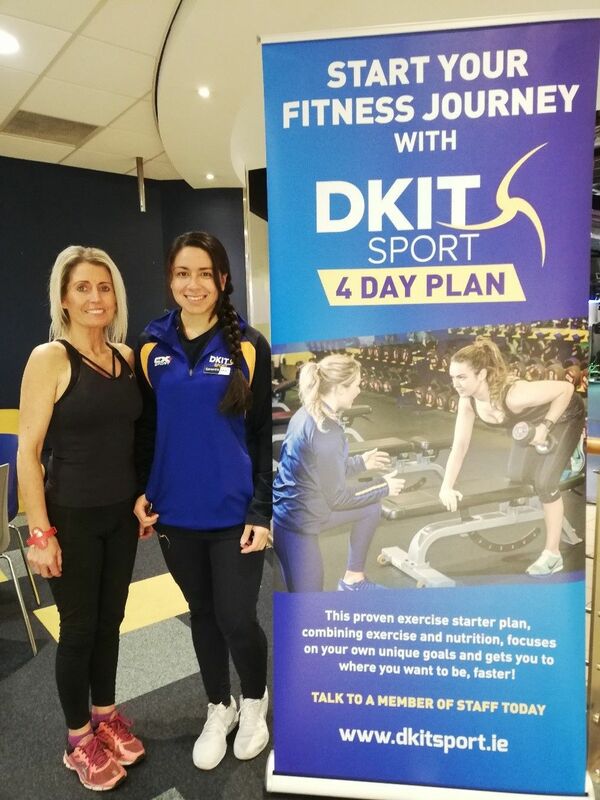 I’ve recently joined Dkit Sport and completed the 4 day plan with Samantha. 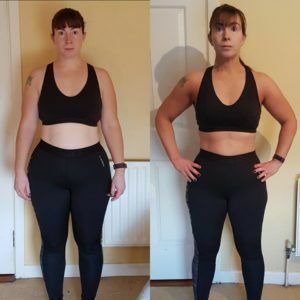 On the first day, I had my weight, body fat, visceral fat, BMI and measurements taken and we had a chat about my goals, how many times a week I was planning on going to the gym and what I wanted to achieve. Samantha then designed a gym program for me based on this. I’ve achieved excellent results by staying committed to my gym program and eating healthy. Samantha has always been so helpful encouraging and motivating me to stay on track. 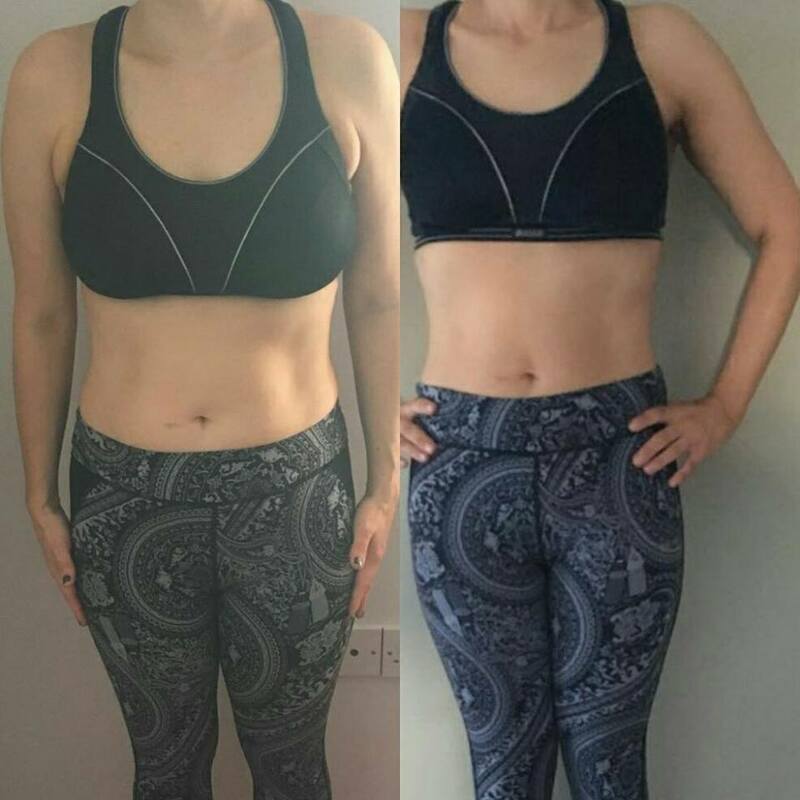 I booked in 8 weeks later to get my weight and measurements done again and I was absolutely delighted with my results! I feel fitter, leaner and stronger than before I joined. I would definitely recommend Dkit Sport, it is a brilliant gym and the staff are so helpful and friendly. I’ve been a member of Dkit Sport for about 4 months. I joined because I wanted to build more muscle on myself because I want to be stronger and look better. 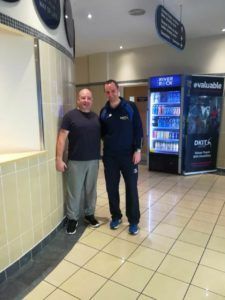 When I first met Ronan, my Gym Instructor, he was very welcoming and understanding of my situation and he took action straight away to write me a gym plan to get me started in the gym. He showed me how to use all of the machines very accurately and I am now very comfortable working out in the gym. He keeps me up to date and changes my program when we both think it needs changing to something slightly harder or different to build muscle. I have gained 5 kilos of lean muscle since he started helping me and I’ve never felt better. I am delighted with how fast I am moving with Ronan’s help and plan to keep going for some time. The most helpful person I’ve ever met in regards to gym work! I entered the the 10-week body transformation because my 40th Birthday was coming up on the 18th December 2017, and after having six children my body had changed a lot over the past 20 years. I was already a member of DKIT Sport, but I wasn’t eating properly and I wasn’t working out as many days as I could be or putting much effort in to each work out. 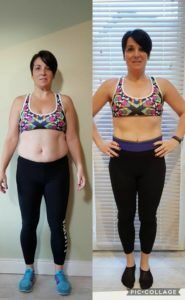 I was so delighted when I won a place on the transformation challenge and couldn’t wait to get started. DKIT Sport staff were so helpful during the 10 weeks, always there to help me when I was struggling and always encouraging me and to give their advice when needed. There were a few weeks during the 10 that I struggled but I was encouraged to keep going and never made to feel like I was a failure. The number of classes that were offered were at times to suit most people’s lifestyles, early morning’s before work, morning classes, lunch break classes and afternoon and evening classes. I would try to attend the boot camp in the morning as I felt it best suited my work and also attended the gym and did my own work outs when I could. We learnt a lot about eating healthier and the right proportions of protein, carbs & fats. I think it is also important for people to know that weight is only a number, I lost 6kg which doesn’t sound a lot but when you look at my pictures from before and after you can see how much my body shaped changed. I am now more confident and look forward to going out on my 40th Birthday in a figure hugging dress. I plan to continue my healthier lifestyle and keep in contact with my new friends I made during the 10 weeks. I was actually lost before I got selected for Michael’s 10 week gym challenge . I had injured an already weak knee in February and after ignoring it for months and trying to train through it my physio told me not to run at all for 6 months. Following the 6 months of rest I was told no more long running. I loved running and was very sad I couldn’t do it anymore. During the summer I never once went to the gym and continued to eat badly and was drinking wine four or five nights a week. I didn’t want to do anything but run. My clothes got tighter and my mood lower. It’s the lowest I have ever felt. When I got picked I’d never felt so unfit and on night one I didn’t think I could do it. Michael, reassuring as he was explained what would come with a flexible diet if combined with training, he just wanted me to be honest and accountable. Throughout the 10 weeks he guided me with weekly meetings and classes, early morning text messages motivating me for the day and weekend ahead, he gave praise where it was due and words of wisdom if and when he felt I’d a bad week. I found the flexible eating amazing. Your accountable for your actions and if my calories were there I could use them for what I wanted. As the weeks went by I made good choices and if there was a bad day there was 6 other good days in the week that I could make up for it. I’m married eight years now and have two amazing children. My oldest is six and my youngest is two. I am NOW pre-baby weight, I’m also lighter than I was when I got married. I’m fitter, leaner and wiser. I have made fantastic new friends and most of all I’m really truly happy. Thanks Michael! I started the 10 week challenge with a view and aim to lose the last half stone I have been finding impossible to lose after having my three children. I started in DKIT Sport nearly two years ago and I lost most of the baby weight over that period but have been at a standstill recently. When I seen that Michael Griffin was leading this challenge I applied straight away and was so lucky to be accepted onto what was going to be a life changing 10 weeks. I have had five knee surgery’s since I was 16. two of which were major with a lot of rehabilitation, after the last surgery at 28 I was advised next surgery was going to be a new knee cap and that is something I aimed to avoid at all costs. However with 3 pregnancies came extra weight gain with a lot of added pressure on the knee cap. I thought I’d join the gym and see if I could strengthen it up and avoid surgery. In the first few weeks of joining the gym I was lucky enough to have Michael guiding me through the program, he was amazing. Michael showed me low, impactful, alternative exercises that would strengthen my knee. It just amazed me at how he understood, he had so much empathy and could see what my goals were and how I could achieve them even if it wasn’t as straight forward as everyone else’s. Michael was amazing in the last 10 weeks, encouraging and inspiring me. The flexible eating plan was brilliant and worked so well for me especially with the kids. Michael always checked every exercise with me to ensure as little impact as possible on my knee. Because I am totally comfortable with Michael and trusted him 100% I was not afraid or worried at any stage. So at the end of this 10 week challenge I not only lost half a stone I lost a full stone, not only am I the weight I was pre-babies BUT I am the weight I was pre-babies and surgeries 22 years ago!!!! I never imagined I could ever reach the weight I was when I was 16 and if I’m honest I’m more toned now then I was at 16 and my knee has never been as strong. The kids are also eating healthier and with mammy having a spring in her step it’s a domino effect so husband and kids are all happy too. I am so thankful to Michael for the amazing work and effort he put into the last 10 weeks, he is such a professional, a knowledgeable person who is kind, trustworthy and hardworking. I’m only sad the 10 weeks are finished, such a wonderful experience, I can’t thank you enough it was only amazing!!! I started this 10 week challenge in the hope to loose the last of my baby weight and to start feeling better about myself again. I felt I had lost who I was and that enjoyment I found in exercise. Little did I know that I was going to gain so much more through this experience than I had ever thought. The difference in my physical self is only one part of the outcome, yes of course it’s a big part but not near as big as how I feel inside about myself. I feel so much stronger knowing I’m capable of more than I ever thought. The friendships that have been formed in this challenge have encouraged and motivated each of us to keep going. It’s these friendships that make it even more worthwhile. 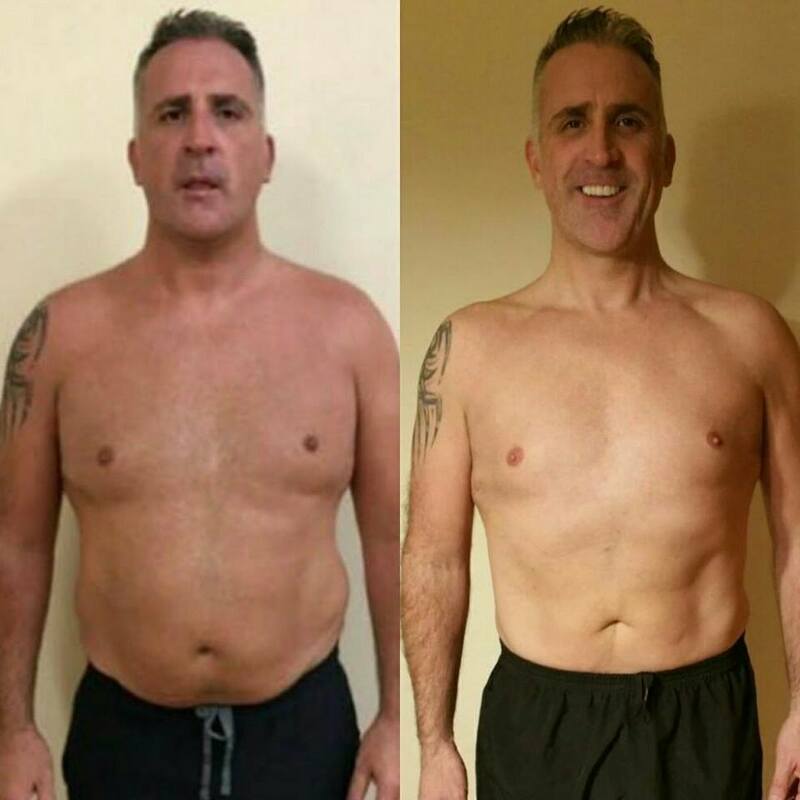 The knowledge that was shared with us by Michael on diet and exercise through the 10 weeks is ingrained in me, his genuineness, compassion and experience are what makes Michael the great instructor that he is and the perfect leader for this challenge. I am blessed to have been part of this and so thankful for the change in me physically, mentally and emotionally, finally achieving the perfect balance! Having spent the last 2 years going to DKIT Sport, training hard and keeping fit, I was still carrying weight. I was lacking education about food, even though I eat healthily, now I know it’s all about portion size, ‘’Cals in and Cals out’’. 16 weeks ago I started using my fitness pal and one day chatted to Michael one of the gym instructors about the app. He uses it for measuring the food intake each day, he gave me great advice and from that day I haven’t looked back. 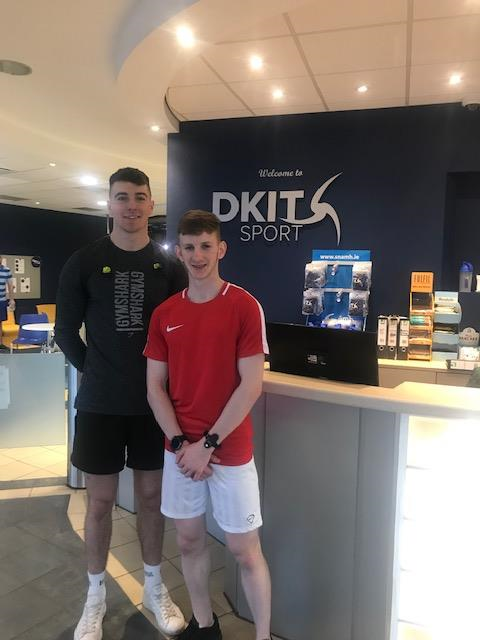 When I found out Michael was doing a ten week challenge, I put my name forward ASAP as I knew I would get top class advice from Michael and all the team in DKIT Sport. A training program was tailored to my ability and over the ten weeks I received continuous advice about good food and nutrition. The journey was all about education and been aware of what we are eating. The training program was updated along the journey and we had continuous out of hours support from DKIT Sport and other group members. Weekly meetings and mentoring/support from Michael was essential. The delightful thing is this is continuous, ‘Not a 10/12 week quick fix, taking supplements and weight loss pills’, it’s about education and changing lifestyles. Thank you Michael and the Team @ DKIT Sport. I joined DKIT Sport in early summer 2017. When I joined up I met Daniel one of the DKIT Sport staff. I was booked in with Daniel to get my measurements; weight, height, body fat %, BMI and visceral fat checked. I also outlined my goals for the upcoming months. Daniel then designed a unique programme for me to suit my personal needs. When I received my programme I was shown every exercise so I understood, I was also given a healthy eating plan to help with my diet and to improve my lifestyle. I have to date lost over half a stone and I am very happy with my fitness and my diet. I would have no problem recommending DKIT Sport to anybody, the staff are very friendly and helpful. The DKIT Sport gym facilities are state of the art and I am now a regular gym goer! What not try it out? I really enjoy working out in this facility and have achieved my goals. I didn’t take a starting photo as I didn’t believe I was able to get as far as I did. I had no motivation to push myself (well so I thought) to lose the weight. When I first started out, I had a poor fitness level and I wasn’t able to do much exercise. I was unhappy with my body which led to me having pretty low self-esteem. Therefore, going to the gym was horrible!! I had bad eating habits and just didn’t eat breakfast. When I did eat I was eating unhealthy food with high fat, salt and sugar levels so I wasn’t getting enough good food for my body. I knew that I had to change my ways if I wanted to change the way I looked and be healthier. This was so clear, I just didn’t feel conformable in my own body!! I was always known to be fat and I wanted to change that. I didn’t want to be like that all my life. This was the main reason I started the gym. When I started in DKIT Sport, I was messing around on the cardio machines as I didn’t like doing anything else. I was doing this a few weeks before I decided to get booked in with one of their trainers. After talking to Bríanán, one of the staff members, she booked me in for an appointment with Kate. I was so so nervous to meet with a trainer quite simply because I didn’t like people knowing what weight I was and I was afraid that they would judge me for the way I was. When I met Kate for my first appointment, she asked me questions about myself so she could figure out where I may be going wrong. Kate went through what I eat on a normal day and what exercise I would do, if any. Kate was so down to earth and positive. She made it easy to relax. Kate also asked me if there was anything I didn’t like/want to do. It was a pretty long list but I remember one more than the others. Running. My biggest “no no” was running on a treadmill – I was so afraid of making a fool of myself!! Kate then put together a personalised program for me and I got stuck in with her help and guidance along the way. Looking back, it was pretty light exercise at the start but the program continued to change alongside my body and fitness level. Along with my gym program, Kate was able to give me ideas to improve my diet. It was little changes which was helped by tracking what I ate with “my fitness pal” and seeing where my calories came from. I soon felt like the gym was a friendly place to work out and not a scary place like I originally thought. I was getting more confident in the gym and was trying to push myself more and more, the weights were going up and mine was coming down!! I also took up 5k training every Saturday morning with the Dundalk Park Run. This was a thing I never thought I would do as I loved my Saturday lie on!! Losing the weight was slow but I was learning why and how it all works along the way. It was a total love hate relationship with Kate – I hated how hard she made me push myself but I loved it all at the same time. I soon found out I could push myself much more than I ever could have imagined. It is such a great feeling!! When Kate knew I was on the right track with the exercise she continued to make small changes to my food and some slightly bigger ones. I wasn’t allowed to eat as much of the things I loved such as chocolate, sweets, bread, and milk in my tea. My biggest problem was eating enough food and trying to get enough good food in to my body. As Kate says ‘if it comes from the soil or runs on it’ you can eat it besides that it’s just a no. Saying all this I was still allowed my treats as I went along and I was still able to go out for a few drinks but this wasn’t to be used as an excuse to binge eat. This definitely helped me stay focused along the way!! Over the time I was able to see my body change as well as my life style. I was going to the gym 3 to 4 times a week and doing the 5k. I now love doing HIIT training and lifting weights, AND I have also started to run on the treadmill – something that I always hated the thought of doing!! I have never been happier or more confident in my own body and I most certainly don’t plan on stopping anytime soon!! I never thought I would say that but there you go. 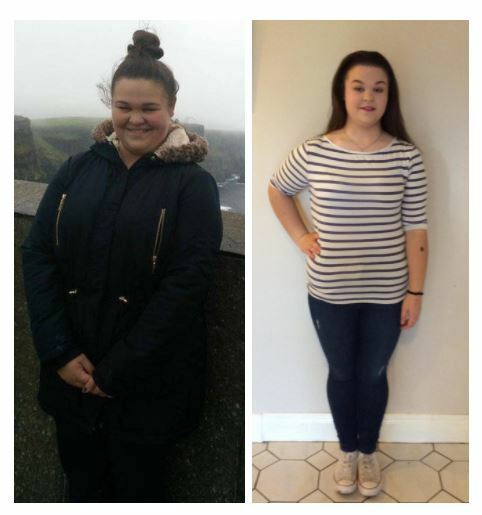 This was all thanks to the amazing staff at DKIT gym and especially Kate who helped me on my journey. 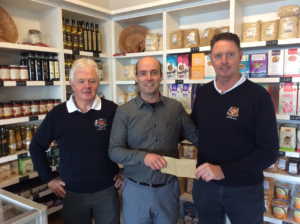 I joined DKIT in September 2015 having previously been a member in another Gym. As a retired person who wished to remain active I was impressed by what I heard on the street in relation to what DKIT had to offer in comparison to other Gyms. I was not disappointed. I was perhaps fortunate to be introduced to fitness instructor, Paul Hoey, who despite my age and my obvious limitations took an immediate interest in what I wished to achieve. As a serious competitive golfer, we agreed at a formal meeting that the key areas I needed to focus on were flexibility, core strength and general fitness. We agreed on a programme which concentrated on these areas and involved approx 3 visits per week to the gym. Paul supervised and put me through the programme and kept an eye on my progress and continuously tweaked the programme in line with research he did on fitness for golf. Paul changed the programme every quarter approx and we are now heading into another new programme. As a result of my fitness, my golf handicap has reduced from 9 to 5 in the past year. This is not a usual phenomenon as people of my age tend to have their handicaps increased as they get older. 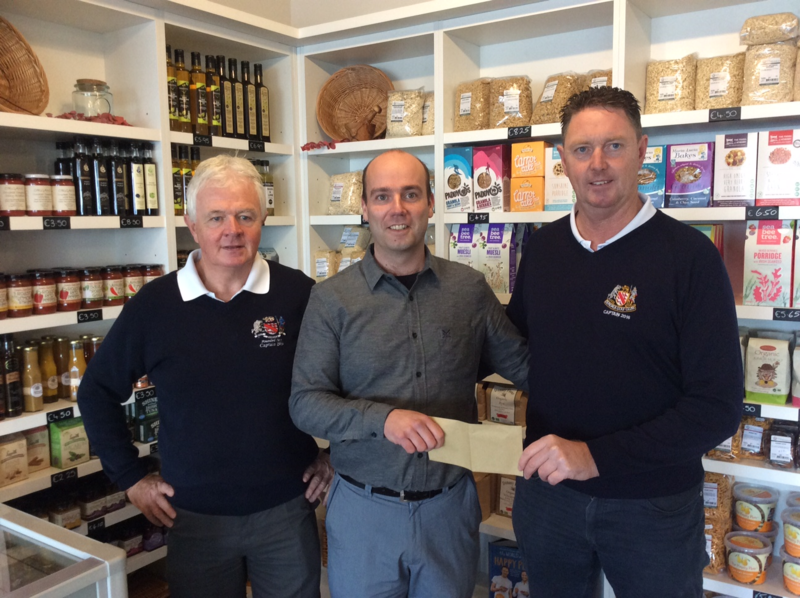 I have had much success on the golf course and have been selected on most of the club teams that I am eligible for. What I notice is that my strength levels have increased, my flexibility is much improved, my levels of concentration are higher and tiredness does not set in as the round progresses. My decision to join DKIT has turned out for me to be an inspired decision for me. You are made feel welcome every day you enter the facility and I am looking forward to continuing my association with Paul and the rest of the team into the future. “I always had an interest in fitness and training through my life, I played football up until I got injured at the age of 32 and then moved on to running marathons. I ran 3 Dublin marathons from 2012 to 2014. I never really enjoyed the long running but once I reached my goal of 3 marathons I needed a change. I then tried my hand at cycling; I started to train for a 190 kilometre cycle from Dunleer to Kilkenny which we completed last summer. Last July at the age of 36 I was at the heaviest I have ever been (92.5 kg) and in dire need of a new challenge. I joined DKIT Sport in August but had never really enjoyed other gyms I joined in the past and was pretty skeptical about motivating myself to go this time round. When I joined, I was offered a fitness plan from a trainer. I was a bit skeptical at first and thought they would push me hard and make me eat chicken and broccoli for breakfast, but I said I would give it a go. Michael was my assigned trainer and he set my mind at ease immediately, his knowledge and love of what he does was infectious and I quickly turned from nervous and skeptical to excited. Michael gave realistic goals and his constant monitoring and encouragement kept me focused. After about 4 weeks of training and changing my diet I could see the shape of my body change and that was the inspiration to keep going. Like everyone, I had obstacles. 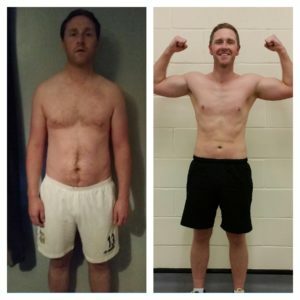 I work Full time in Drogheda, live in Dunleer and drive to Dundalk for the Gym. My wife was due our second child in November so I tried to get to the gym as often as possible before then but after some time it became part of my lifestyle and I never imagined sticking to it. I had my highs and lows throughout this programme. It’s funny, some of my lows came when I couldn’t get to the gym due to work commitments and being a dad. Some days I walked into the gym only to walk straight back out again as I just was not in the mood, but that’s exercise! It’s a love/ hate relationship. When the weight started to come off, the staff started to notice and encouraged me even more. Michael went above and beyond to help and guide me. When I was not being honest he could tell, and in some way encouraged me to make the right decisions. 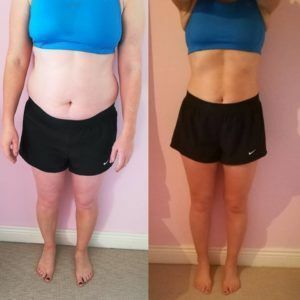 I never knew certain foods could have such an effect of your waistline and certain exercises were more beneficial than others but it was all part of the process. I can honestly say that DKIT Sport is the best gym I have ever been in and unlike other gyms I have been in the past it is very un-intimidating to first time goers. The staff are all very friendly and so helpful and have any amount of time to help you. I am coming to the end of my 6 month training plan and can honestly say I love going to the gym and can’t wait to set myself the next goal for the summer 2016. I would like to thank all the staff in DKIT Sport for all their help over the last 6 months and most importantly I can’t thank Michael enough for all his hard work and encouragement, not only did he get me 9 kg lighter he also educated me on food and nutrition. I can’t wait for the next challenge.